This article originally published March 3, 2016. In the pursuit of business success, what are some of the moves you can make when you’re first starting out to pay dividends later on? Of course, there are those hard and fast rules for dealing with cash: start small, save your money and put what you earn into a bank account that you won’t touch for other expenses. Use the funds that come in from your venture to invest in yourself -- read, take classes, learn a new skill and go to events where you can meet like-minded people. 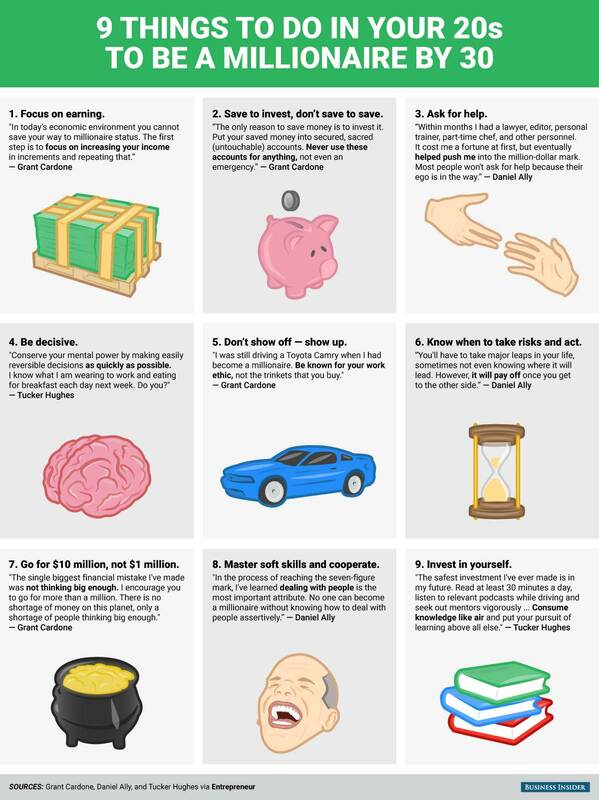 What you learn and who you connect with can only help you in the future.For more about how to think big and take calculated risks to become a millionaire, check out the infographic below (made by our friends at Business Insider and based on the advice of three Entrepreneur contributors).